The other day I was having a conversation with someone about confidence in the workplace. I mentioned a book that I read a number of years ago on the subject which really changed the way I think about confidence, and gave me an armful of useful tools that I found incredibly helpful. This got me thinking about other books I recommend people read, so I’ve put together my top three work-and business-related books. These are not your run-of-the-mill, dry, ‘serious’ reads. They are not even books you would find in the business section of a bookshop. But they are books that are worth reading because they provide wonderful insights into the world @work, and how we can perform as our best selves at work. 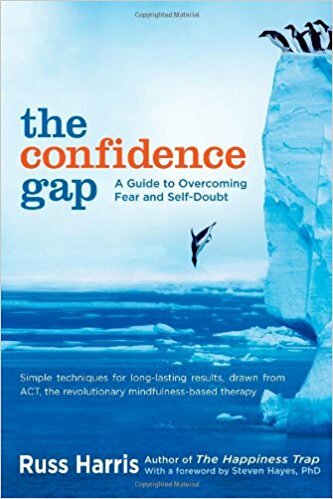 Written by psychologist Russ Harris, The Confidence Gap is the perfect book for anyone who feels they are being held back by a lack of confidence. Harris has written an approachable, easy-to-read book that explores how a lack of confidence can affect many areas of a person’s life, and looks at real, clear suggestions to work through it. It’s not an easy book to read in the sense that if you really want to make changes in this area you will have to have some tough, honest conversations with yourself. But it is easy in the sense that it is written in clear language, and breaks down complex concepts into easily understandable stories and ideas. This book explains what introverts are, how they tick, and what the pitfalls of introvert/extrovert interactions can be. I would recommend this books for introverts, extroverts and anyone who isn’t sure where they fall on the spectrum (but would like to figure this out). Cain looks at how the business world, especially in America, has for almost a century, celebrated extroverts and build a system that favours their personalities and mode of working. Cain argues that because this system is not designed for introverts, it is difficult and often tiring for them to navigate. However, this doesn’t mean that it isn’t possible for an introvert to not merely navigate, but to thrive in a world of extroverts. 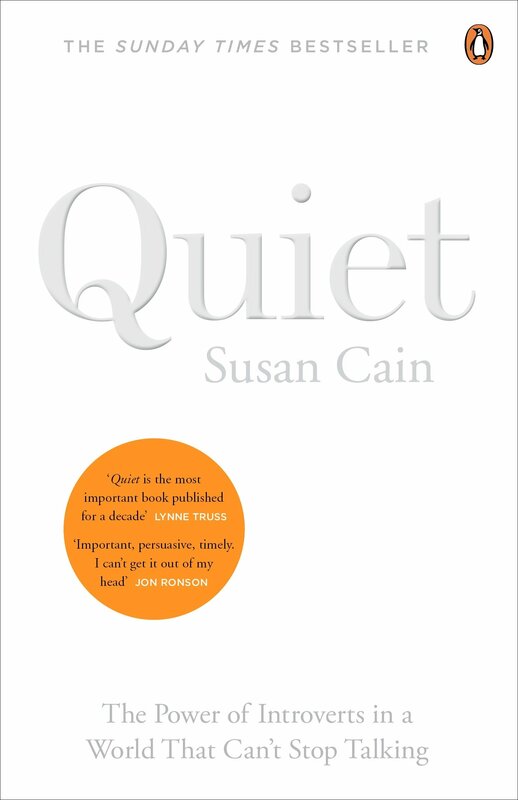 Cain provides tools and techniques for introverts negotiating the extroverted world of business, and for introverts and extroverts to figure out how best they can work together. This book is (in my opinion) a sort of unofficial sequel to Lean In, the blockbuster work memoir written by Facebook CEO Cheryl Sandberg in 2013. It’s a look at how work-life balance is something worth striving for, but that the make-up of that balance may change over time. Slaughter says that it’s important to ‘lean in’ at times, but that it is just as important and necessary to be able to lean out at times too. She advocates for a world where we can accept a promotion and work like the devil for a couple of years, then dial things back for another couple of years, perhaps to care for family members, or pursue study. 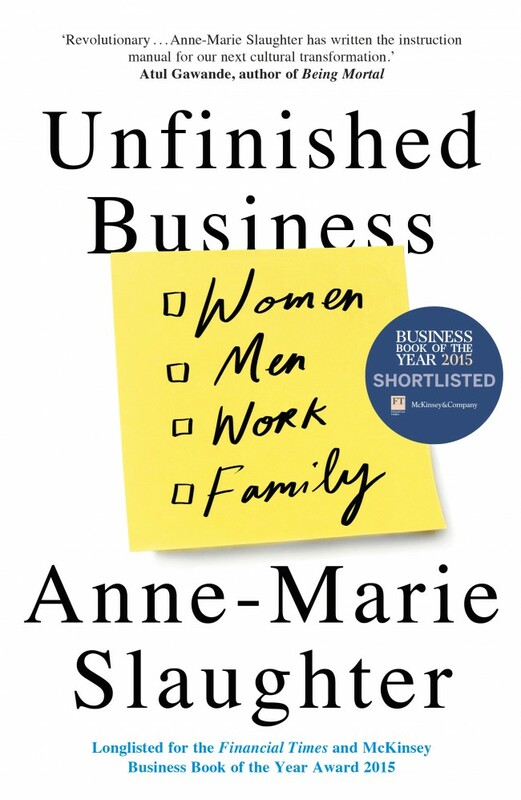 Slaughter writes passionately and persuasively for her vision of a flexible and changing attitude to work over our lifetimes. What are your top reads for personal and professional development? Organisations want people who aren’t afraid to tackle difficult tasks – problem solvers who learn from a challenge, not folk who say “that’s too hard” and pack it in. It has been one of those weeks for me. Everything that could go wrong… did! What appeared disastrous, was of course, in a life or death context, no more than a hiccup. Supported and sorted, and I’m up again for the next challenge. This made me think: How do we gauge resilience without having actually worked alongside a person? I actively screen for resilience in candidates. During the recruitment process, we need to find out if a candidate has been tested in tough times and how they manage through tricky situations. Psychometric testing is also useful to get a good grasp on work style and character attributes. How have you dealt with failure? How did it make you feel, and what did you learn? We are all familiar with the old adage ‘sink or swim’ and there is a reason for this. Work can be tough; and each role has its own pressure points. You will make mistakes, you may miss a deadline and sometimes you could flat out fail. Listening to candidates answer this question gives me some insight into how reflective they are about their fallibilities, if they can learn from mistakes and bounce back. Describe a time when you kept your eye on the big picture, through a challenging situation? Why do I like this question? It allows me to see where a person’s focus lies. It is so easy to get side-tracked with a current disaster/issue/problem and assume that it’s all too hard. I know sometimes it may feel that the end of the road is nigh, but let me tell you, after 20 years in the workforce, it’s not. Maintaining perspective provides a way forward, so I want to find candidates who can keep their eye on the ball, get knocked down… get up again, to win the prize at the end of the race. Our fast-paced contingent workforce at The Interchange Bench regularly attend jobs in new environments. Once we’re briefed on an assignment we match the role with our ‘bench of talent ensuring capability and culture fit are closely aligned. For our candidates going out on assignment, it’s a case of getting on with the show. That is why resilience is key whether it’s a months’ long assignment or just for a day. Often in our working lives we get knocked down. Sometimes it’s not a little stumble, but a great big fall. We get up, we dust ourselves off and we get on with it. If we are lucky, we are able to learn from the experience and we become hardier in preparation for similar situations in the future. How do you measure resilience in your world @work?